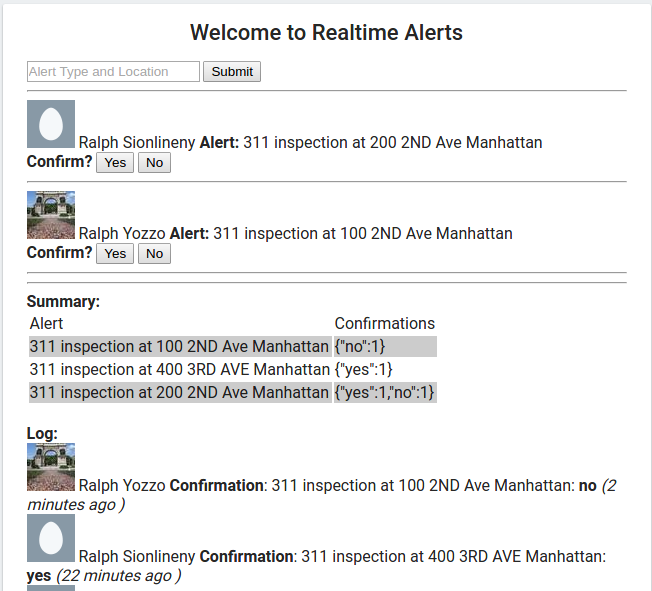 Let's say you are a restaurant owner and you want to know when the Health Inspector is in your neighborhood. 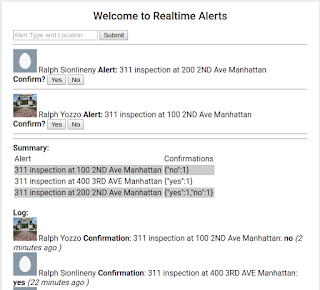 Let's say you are a resident and you want to know when something is happening in your neighborhood. An instance of this alerting site can be set up for you. Right now, it puts all the alerts in one place. Each authenticated user can post one and only one alert.